The products in the Video Vision range provide everything you need to control, manage and promote your movie and/or game rental business. Video Vision is available in two packages - Video Vision Lite and Video Vision Plus. Video Vision Lite is a scaled down version of Video Vision Plus designed for small stores or stores starting out on a limited budget who do not yet require the extra functionality provided in Video Vision Plus. 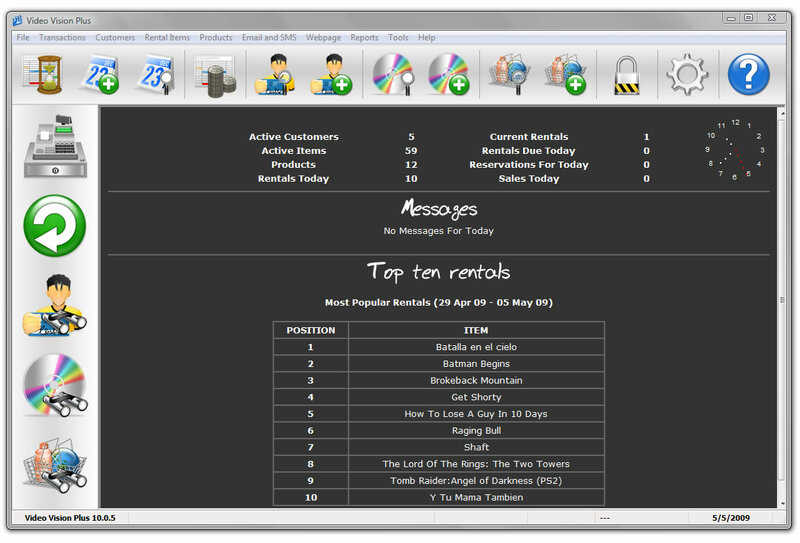 Core features included in both the Lite and Plus versions include an intuitive Windows interface that is extremely simple to learn and use, integrated reservations, password protected functions, overdue rental monitoring and late fee calculation, customer account management, barcode scanner support, management reporting, top rentals chart, full rental histories, and much, much more. 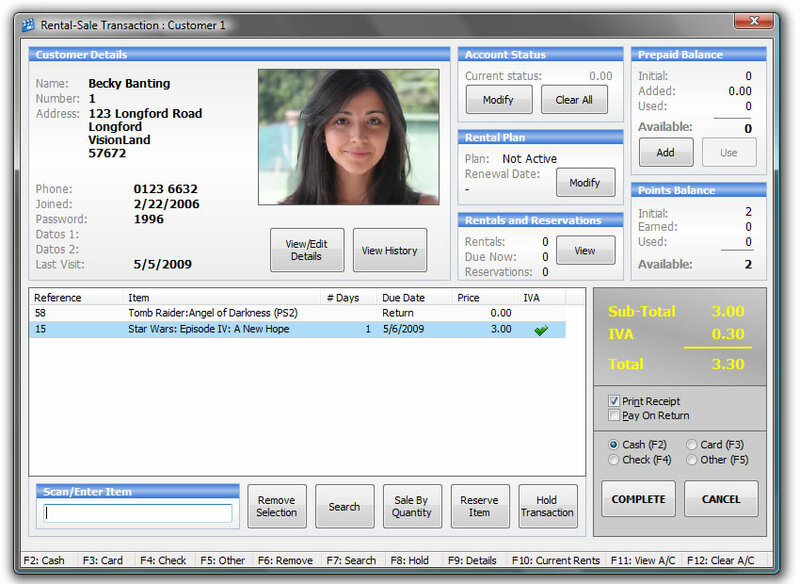 The Plus version of the program also includes barcode designing and printing, a range of promotional tools (including multi-rental discounts, Rental Plans and a Frequent Rental Points scheme), customer photo capture, customer membership card creation (with photo and barcode), full saleable stock control features, and much more. Both programs permit flexible configuration of item formats, allowing entry not only of items with formats currently available (e.g. VHS, DVD and Blu-Ray for movies / XBOX 360, DS and Wii for games) but also quick configuration of any new formats that become available in the future. The Video Vision Plus Data Import module is available to help you transfer data from your existing software into Video Vision Plus - there really is no reason to stay chained to your DOS dinosaur! With the appropriate license purchase, Video Vision Plus can be run on multiple terminals sharing a single database on your Windows network. A number of impressive add-on modules are available for Video Vision Plus, designed to further empower control of your store, improve customer experience, or drive increases in revenue.